Finish: some tobacco and wood, dark sweet fruits linger on and on in the background, some bitter dark chocolate. A tad dry finish, but the sweet chocolaty fruity taste comes back. 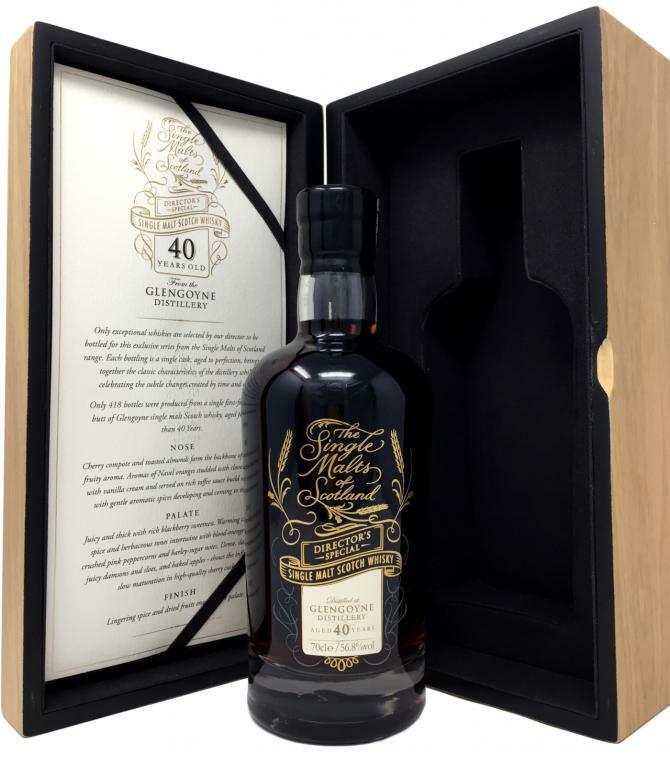 I tried this Glengoyne 40 twice and it’s a very good whisky. It is loosing some points in the taste because the bitter aspects put me a bit off. 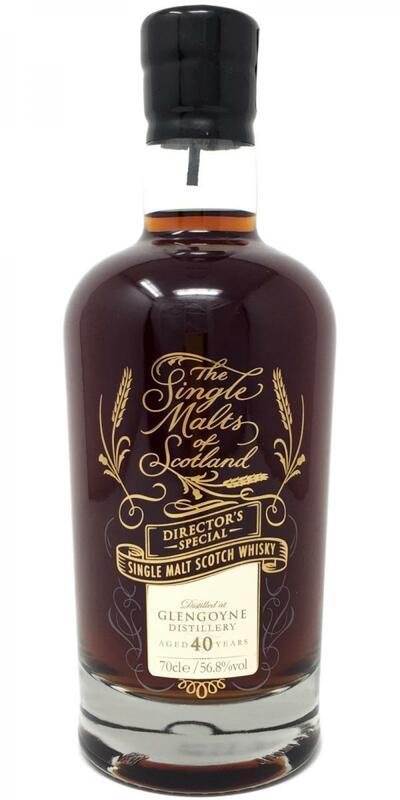 But, for the sherried whisky lovers out there, this will be a big 92+ dram for you guys. My personal score is just a bit lower but this is a very good whisky. Tobacco leafs, cherries and some honey. Earl grey tea, almond milk, chocolate. Then we go towards floral tones and blueberries. Everything covered with a perfect thin honey layer. Wood notes are speaking here, then towards fruit syrup. Developing into very sweet tinned pineapple and honey melon. Then we head over to coffee and dark chocolate. Followed by some spices and cloves. There is a bitter aspect to this whisky, which I have not tasted before. Tobacco and some smoke which is a pleasant surprise. There is a slight metallic edge, but I can’t really define where this is coming from. Then sweet fruits ending into a somewhat dry finish. Excellent noses, dried flowers, dark rich sherry, very intense and aromatic. However, huge oak on the palate, drying and bitter, one dimensional, what a shame! C: This has everything from liqueur to soot.